I remember buying OP2 at a game stop in 1998 or somewhere like that. ...anyway just this weekend walking through my local thrift shop I found a copy in a box still factory sealed for a whole $4. needless to say I bought it, and it is sitting on my shelf here at home. I am currently playing again and really think this would make a great port to a tablet (Android/iOS) just wish I had the skills to do it. Check it out. Nearly 100% perfect condition. $4! that's a lot better than the last copy found ($0.99 bargin bin, but it was disk in case only). We will find and save all the copies of Outpost 2 one day. 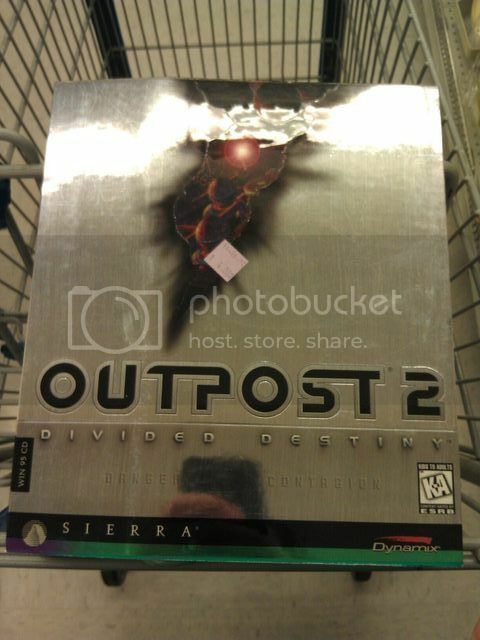 In norway one could only get OP2 in a "Sierra Classics" box. However, I remember I got that Box for free when WON was celebrating it's birthday or something. Think I still have it laying around somewhere. That's a beautiful sight. Welcome. It's been a long while since I've seen one of those boxes. Particularly in a store. I'm overloaded with jelousy over your amazing find. Congrats and welcome!